Personalised Wedding Countdown Chalkboard Plaque/Sign. Custom Wooden Sign Engraved with Your Names. Special Engagement or Wedding Gift. Personalised Wedding Countdown Chalkboard Plaque/Sign. Wooden Engraved with Names. Special Engagement or Wedding Gift. 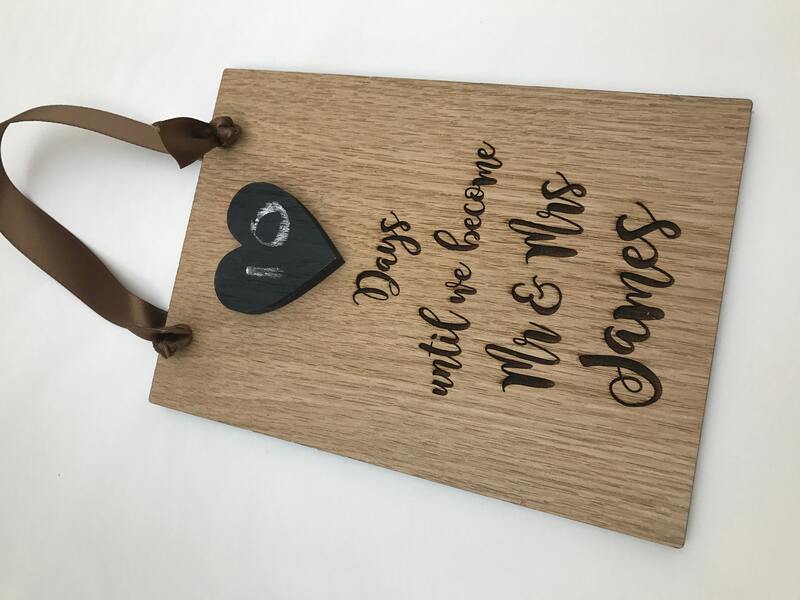 · Beautiful, wooden, laser-cut & engraved: Wedding Day Countdown, chalkboard. Plaque Sign. · Suitable for: engagement gift. Ready to hang with satin ribbon. 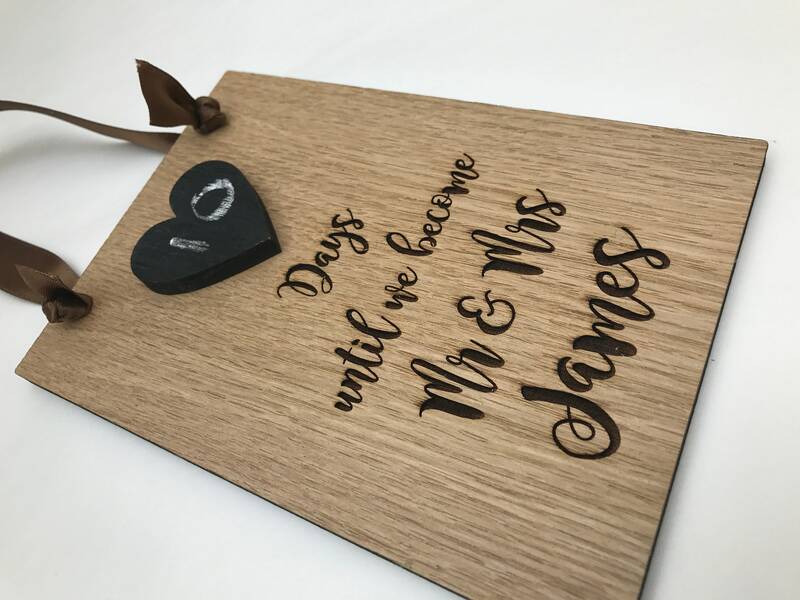 · Laser-cut & high quality engraved, using high quality 6mm depth grained oak. · This is the perfect gift to share with the one you love. Great engagement gift. Absolutely beautiful. It's a present for my sister and such a lovely design. She loved it thanks. Great, reasonably priced product - very happy with it! The delivery was very fast too. Gorgeous gift for my sister in law & fiancé. They love it! Speedy delivery too, thank you!